I just read an article in the NY Times how many doctors don't address weight with patients because most patients will just find another doctor because they get offended. I was diagnosed with hypothyroidism two years ago, and I looked at a visit summary from last year's endocrinology visit and was surprised to see he records obesity as a chronic problem of mine. I was not surprised because I already knew I was overweight, I was surprised because he has never once mentioned it to me or even mentioned to me to loose weight or how it would affect my thyroid....not...one...time! Even after I lost over 30lbs! While of course think loosing weight to be healthier is somewhat common sense, my endocrinologist deals with my metabolic disease and I thought he should be the one addressing my weight. He had given me under the impression that my over weight issues were due to my disease and I had to get my thyroid fixed before I lost weight. While that was partially true because my levels were so bad that exercise actually made me MORE tired when my metabolism was off, but now that my thyroid levels are back in the normal range I must exercise to keep a normal energy level. The phrase I have coined during this process is I have to earn my energy. My kids wake up with energy, but if I want energy I must earn it! If you have a broken leg, you of course must let it heal before you can use it. But after it is healed the only way you ever regain full use of that leg is by exercising those muscles. So I guess what I have learned from the experience of being surprised with that ugly word OBESITY on my doctors chart is we must be the ones responsible for our weight and exercise, because apparently some doctors are no longer feeling it is their place to tell us. I am not blaming the doctors because we live in a society that somehow not only accepts unhealthy weight, but gets offended if you point it out. We also live in a quick fix society who view self-sacrifice as against the American Way of life. And of course I recognize BMI is not the end all be all of how healthy you are, but it is a starting point. I have heard too many times (from myself and other really overweight women) how BMI just doesn't take enough factors enough to place, and yes that is partially correct. 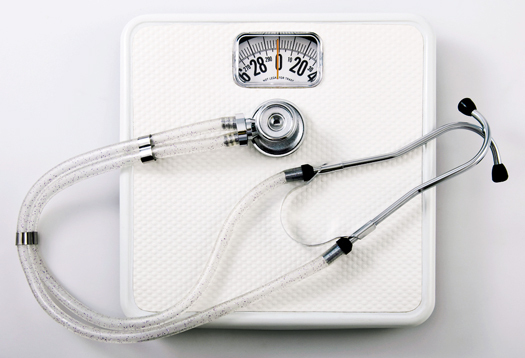 But make sure if you are making those claims that you have truly examined your health before you try to say that your BMI is not accurate of your health. No I wouldn't ave considered myself obese at BMI of 32, but I WAS NOT HEALTHY! Look past those ugly words of obesity and overweight, and try to pray for discernment of how obedient you are being in taking care of the body God gave you. We must be our own advocates and let our doctors know we want to hear the truth, no matter how hurtful it may be. It is the first step out of denials and into a healthy lifestyle.